Led by founder and creative director, Coco Tully, our aim is to make design approachable and create balanced spaces that exude character. It is her island upbringing, her years spent in New York and London, and her far-flung travels that allow Coco to bring a different perspective to her designs. While an ardent admirer of Australian design, she also draws inspiration from the diverse coastal lifestyles and interiors of the world. She adeptly combines seemingly disparate elements and believes that balance is the key to curating a beautiful space. To us, the design and styling of spaces go deeper than the selection of beautiful furnishings, colour or decor. It is the balance between harmony and contrasts. It is the beauty in the process. And it is the ability to intertwine indulgence with ultimate comfort to curate an exceptional livable space for life, work, and the home. This is where every day meets luxury. Where beauty and purpose co-exist. And where each day feels like a holiday. 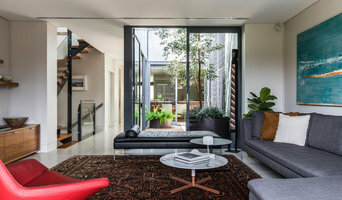 Karen Aston Design is a Sydney based decorating and design practice with experience in residential and commercial projects. Karen Aston Design offers expert advice for all your interior design, colour and decorating needs. At Lynne Bradley Interiors we recognise that every space has its purpose and narrative. The Lynne Bradley Interiors experience is about guiding clients through a design journey that translates their vision into an innovative, sophisticated and responsive solution. Creativity, flexibility and practicality lie at the heart of every Lynne Bradley Interiors project. Clear communication, a strong design process, technical excellence and professional teamwork provide the framework for success. Studio principal, Lynne Bradley, collaborates with an elite network of architects, artisans and suppliers to ensure that every aspect of the project is professionally managed and executed. Decor Road is a design studio bringing personality, warmth, texture and comfort to any space. 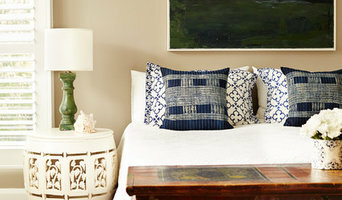 Decor Road treats each project as unique & tailors the style to its inhabitants, whether their style is classic, contemporary or a little of both. Décor Road specialises in custom decoration including furniture design, rugs and soft furnishings including blinds, curtains and scatter cushions. Décor Road’s philosophy is to customise it’s interiors to each client and ensures it is not “cookie cutter” in its approach. Customising feature pieces ensures that the decoration is unique and well considered. Formerly known as Khe Design, Décor Road is a Sydney based practice founded by Jo Kheir in 2013. Jo studied Interior Design at the Design Centre Enmore and was previously a board member of the NSW branch of the Design Institute of Australia. 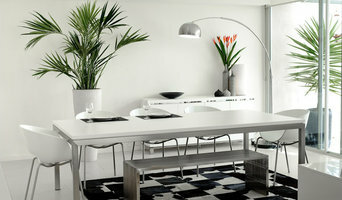 Décor Road is the culmination of Jo’s experience, knowledge and love of interior design and decoration. She is passionate about her work and strives to open up the world of interior decoration making it more accessible and more easily understood. Jo believes that “everyone should be able to live in an environment they are proud of and comfortable in". Ciara Tapia Design is a boutique interior design and architecture company based in Sydney. Since the inception of the studio in 2016, her approach has not been based on one particular style her designs, yet each building and brief has been unique and every design has been individual. Her ethos is to bring out the best in any design, to highlight its assets and mitigate its short comings, to create interiors that function seamlessly and feel great to be in. Hello and welcome! I have a huge passion for colour and interiors and love to create beautiful and functional spaces that make your home or business feel inspiring and welcoming. In order to get the best result for you, I really enjoy working closely with my clients to listen to what you love, what you hate, and what you want for your special space. I have access to a brilliant range of furniture, fabrics, art and accessories that you will not see in the local stores to help you achieve your own individual style. I look forward to hearing from you and creating beautiful spaces for you! onefour interiors is a boutique interior design practice created by Louise Spicer in 2012 after 10 years experience working with hi-end interior design and architecture firms in Sydney and London. Louise's design approach and devotion of clean lines and functional spaces echoes in the projects she and her team touches. Interiors are uniquely tailored to clients and draw inspiration from their setting. A great love of subtle contrasts in finishes is evident in the use of textured materials set against polished surfaces, crisp white walls with personalised artworks along with layers of applied fabrics that sit together quietly to ensure timeless appeal. onefour interiors offers a comprehensive interior design service with solutions tailored to clients individual tastes, requirements and lifestyle managed and delivered to an exceptional standard. Welcome to SmartSpace Interiors. I'm Anoushka Allum and I'm an interior designer and decorator. I love this wonderful world of interior design and I get to play in this space everyday. The best part for me is when I see my designs come to life and the smiles on the faces of my clients when they see what we have created together. Give me a call if you want to come on this amazing journey with me. At Santamaria Design, we inject energy into the design process. We want to understand you and your style needs. We work closely with a team of professionals to coordinate the transformation of your interiors. We guide you through the process of creating beautiful interiors that are both functional and comfortable. Our designs create a sense of well being to make you feel happy and proud to enjoy your new space.